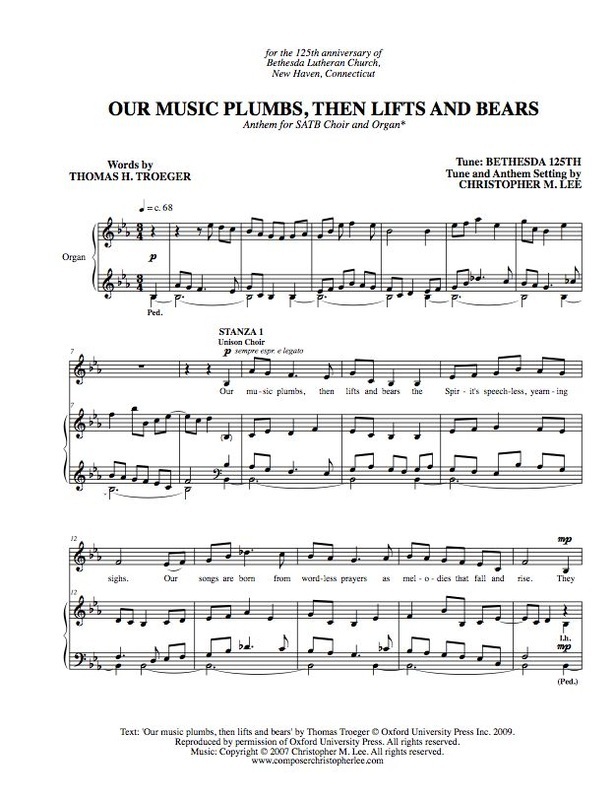 Thomas Troeger's beautiful text is paired with an expressive tune that feels at once fresh and nostalgic. The work explores a variety of choral textures before introducing the exuberant closing stanza, led by stirring modulation and blazoned with fortissimo organ and a soaring descant. Also available as a hymn (arranged with modulation and descant). Text and music were jointly commissioned for the 125th anniversary of Bethesda Lutheran Church, New Haven, CT.
* Live performance by choir of Bethesda Lutheran Church, Bill Speed, organist and music director.